I received toys from Hasbro in order to facilitate this post. All opinions are my own. If your child is into My Little Pony Equestria Girls or Yo-Kai Watch, I have some great new Hasbro toys and a version of an iconic game to show you that are out just in time for Easter. These would make great additions to an Easter Basket in lieu of all candy and will have them playing happily for hours. My daughter has been a huge fan of My Little Pony for the past few years, so when the Equestria Girls emerged, naturally she loved it. 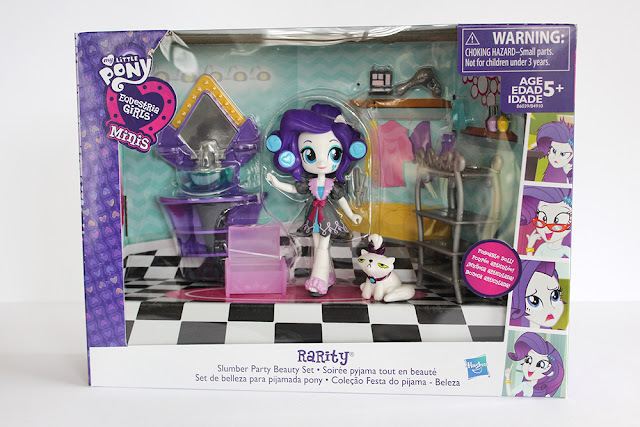 The newest toys are the Equestria Girls Minis, and I was sent the Rarity Slumber Party Beauty Set to check out. 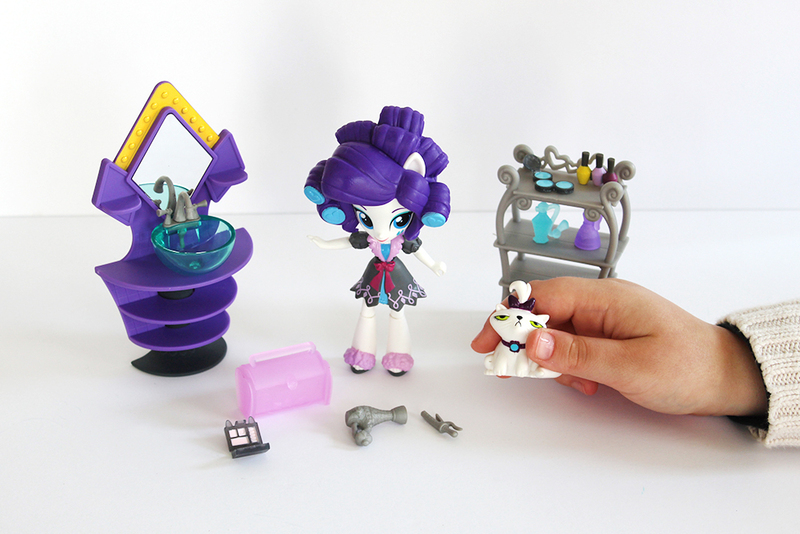 The Minis dolls are super-cute and poseable, and the slumber party beauty set comes with lots of extras to play with like her cat Opalescence, a vanity, shelves, a trunk and hairstyling tools and makeup. Ages 5 and up. 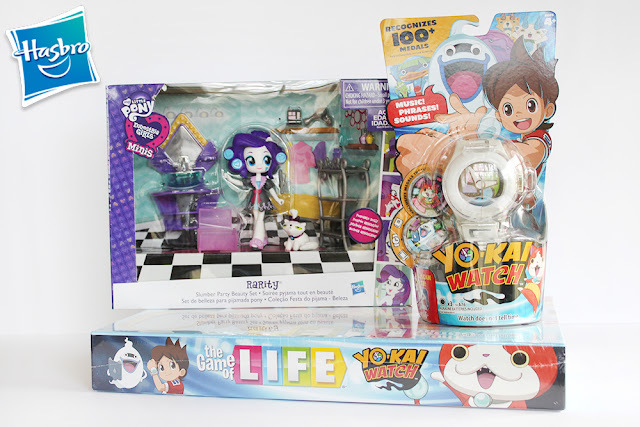 My daughter's newest crush is Yo-Kai Watch. If you haven't seen this show yet, you should check it out. It's part Pokemon, part Ghostbusters, and one of the weirdest kid shows I've seen in a while. It's a Japanese cartoon based on a video game series: A young boy, Nate, stumbles upon the Yo-Kai Watch that allows him to see the invisible Yo-Kai, which haunt people and cause mischief. Using the watch he is able to catch the Yo-Kai and summon them to help him. 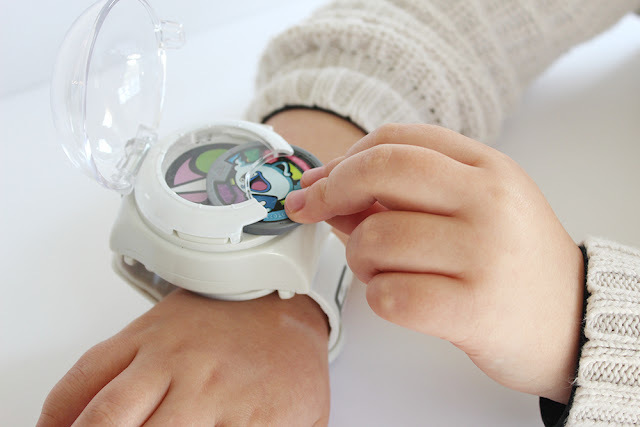 And now kids can have their own Yo-Kai Watch! The watch comes with 2 exclusive medals and when one is inserted into the watch, it plays sounds, music, and phrases. You can hear the character’s name, tribe song and more sounds. 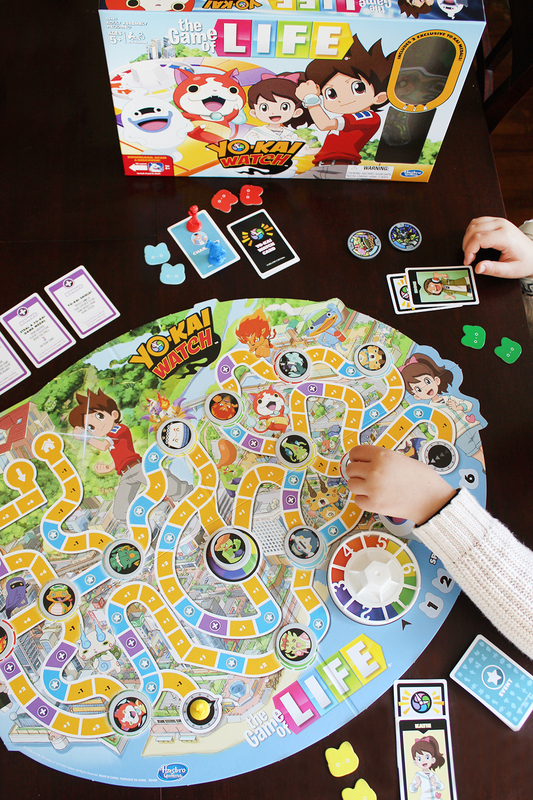 It recognizes over 100 collectible medals. Ages 4 and up. 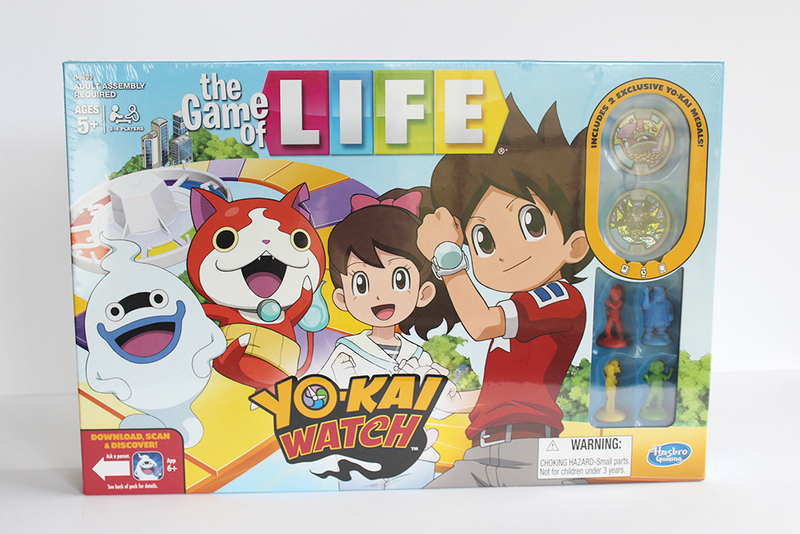 The last item we were sent was The Game of LIFE Yo-Kai Watch edition! The Game of LIFE is one of our favorite family board games, and my daughter was especially ticked to see this special edition featuring one of her new favorite shows. This isn't just a reprinted edition of the classic game, but is completely different in regards to gameplay, pieces, and cards. 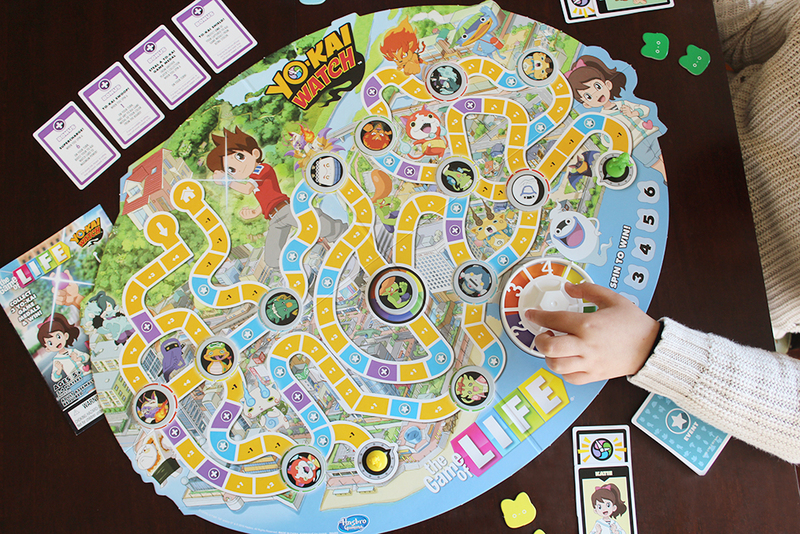 If your child is a fan of the show, they will love this game! 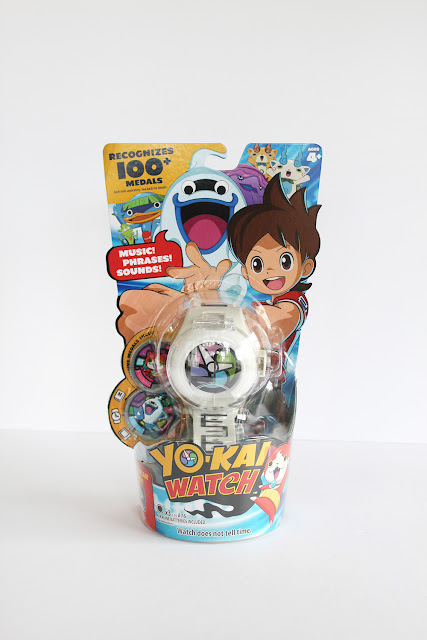 It also comes with 2 exclusive medals for the Yo-Kai Watch shown above! These new toys from Hasbro are fun sets that can help promote imaginative play. I hope you find something fun for your young ones this Easter! 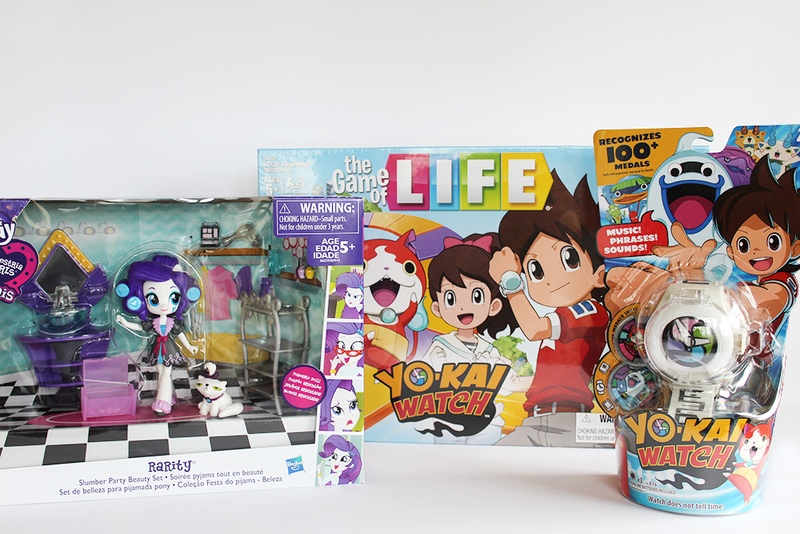 Are your kids into My Little Pony or Yo-Kai Watch? Which of these toys do you think they would love most? I love to read your comments!